1. No Yoga and Pilates for Weight Loss: Yoga and Pilates are good to build core strength, but they are not the most effective means to shed those extra pounds. If you want to lose weight and burn your fat, then opt for aerobic exercises like running, swimming, etc., or some HIIT workout. 2. No Workout on Empty Stomach: Eating something before you start working out is very important. You can have a small portion of food containing carbohydrates before you hit the gym. This will fuel your workout and energize your body. If you exercise on an empty stomach, your body will not be able to sustain your workout and you will be exhausted in no time. 3. Right Gear: Don’t wear worn out shoes and random pair of shorts from your wardrobe. Get yourself a good pair of sport shoes, as it will help you in avoiding injuries to your knees and joints, and also keep your feet comfortable during your aerobic sessions. Wear clothes that are efficient in absorbing the sweat from your body. 4. Ignore Texts and Calls: When you are working out, it’s imperative to concentrate just on your session. Visualize you workout and feel the muscles exert. Your phone will just break your focus and make you lose your concentration. So, it’s better to keep your phone in the bag. 5. Post Workout Diet: You should have intake of protein after your exercises. Your muscles breakdown during workouts and grow after it, while you rest. In order to build your muscles and help them grow, it is essential to provide them with protein after your exercise sessions. 6. Intervals Help: The breaks that you take between your workout sessions will help you get better results. The breaks taken at regular intervals restore the energy of the body. If your breaks are too long, then it will spoil your momentum. 7. When Not to Attend Sessions: If you are not well or if you didn’t have enough sleep, then you should stay at home. You don’t want to overexert your body which is fighting the illness and you don’t want to spread the germs, so stay home till you recover from your illness. If you lack sleep, then your body will be exhausted quickly. So, it is best to get adequate sleep to rest your muscles, as you obviously do not want to risk injury! 8. Verify When in Doubt: If you feel that your body is not showing any results, verify your workout schedule with an expert to see what is not working for you. 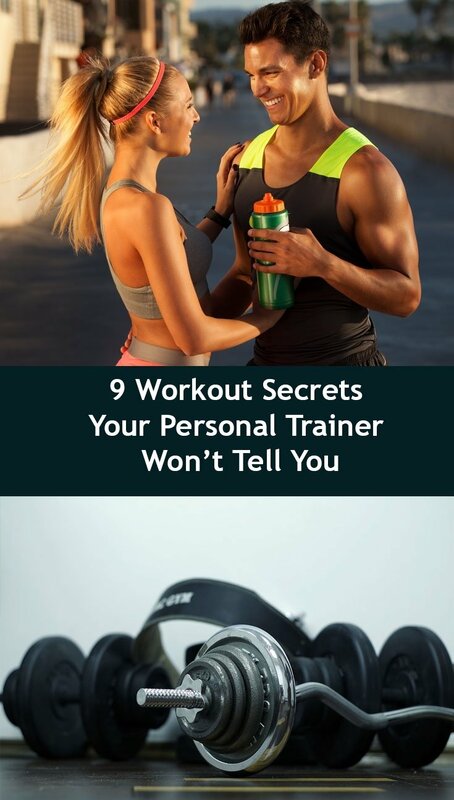 Maybe, it’s time for you to change your trainer. 9. Moderate Smoking and Drinking: If you want optimum results for your workout, you should regulate your smoking and alcohol consumption. If you wish to detoxify, such moderation will be very helpful.